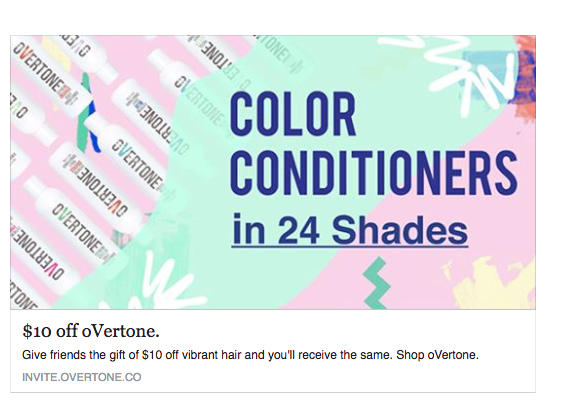 Overtone is a beauty product B2C company that sells a hair conditioner that adds color to the user’s hair. You can order single colors or create custom orders with multiple colors. There are individual products and several packages to choose from offering different solutions around hair coloring and maintenance. 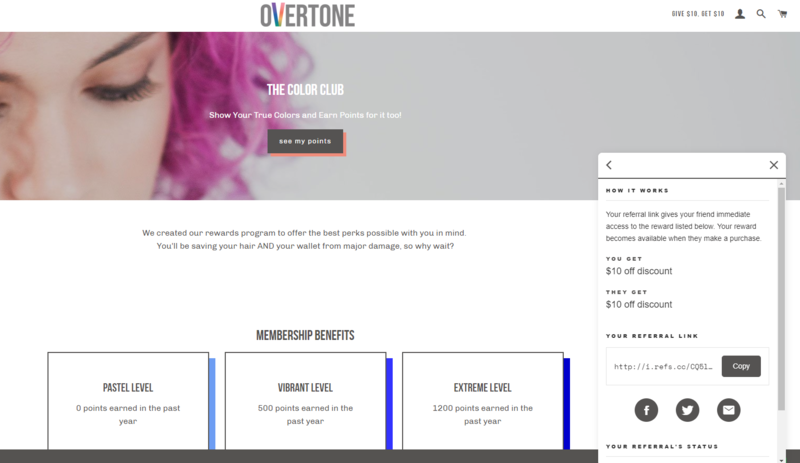 Overtone offers a pretty great referral program, but it can be a bit confusing for users to participate. 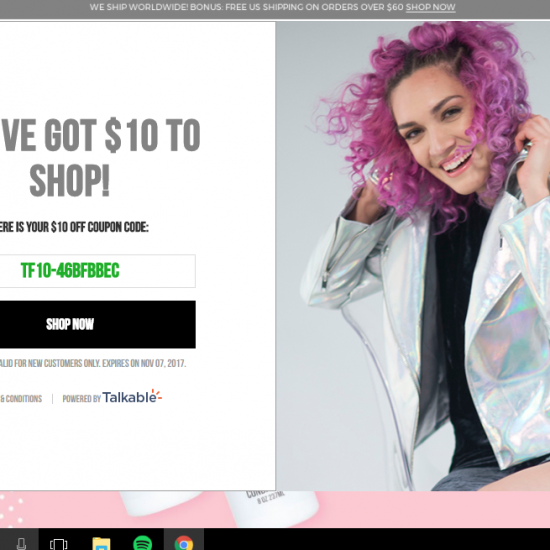 Though the program is easy to find from the homepage, the link plops you on their “Color Club” page which explains a variety of ways to earn points for rewards. 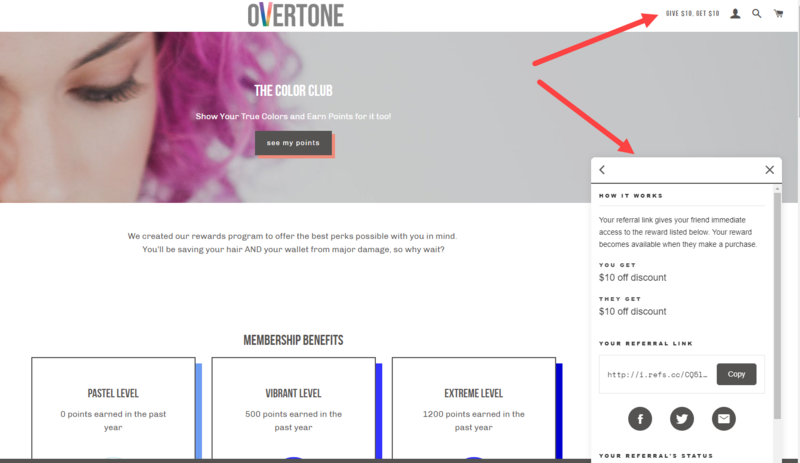 The referral program has recently been pushed to a small scrolling window on this page, and if you’re not logged into your account you won’t see the options for sharing your referral link, but instead see more information about their Color Club. 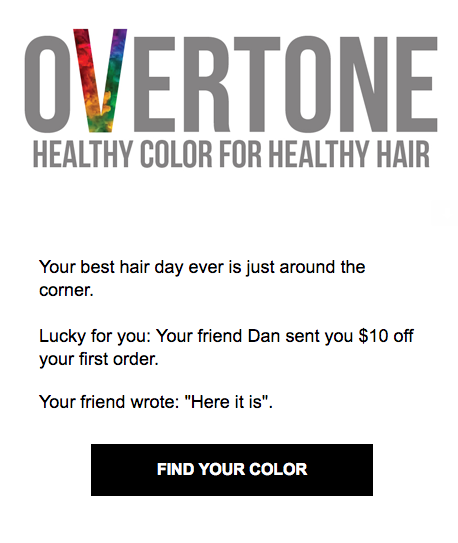 changes their referral program imagery quite often, perhaps to intrigue users. Overtone offers a nice double-sided incentive of $10 to each the participant and the friend. With a minimum order size of $30, this gives a maximum discount of about 33%. Not a bad way to try something new!